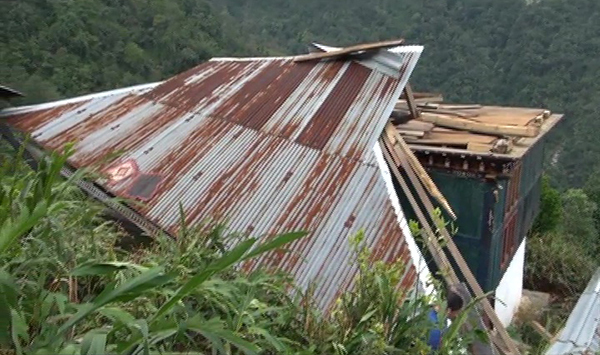 The strong windstorm on Monday, May 28, damaged 12 houses in Darla Gewog under Chhukha Dzongkhag. 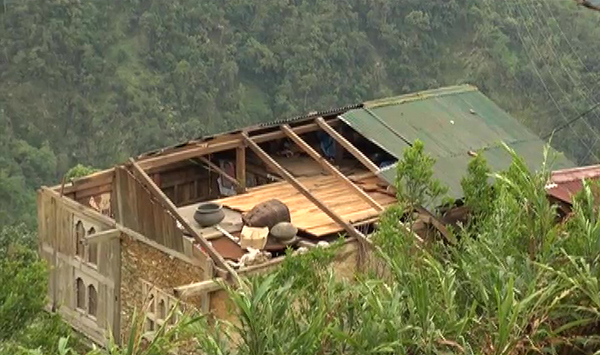 Among the 12 damaged houses, one belongs to Pema Drukpa. He said the windstorm this time was unexpectedly strong. Others’ homes have also suffered damages. “We have never seen such strong windstorm before. It has damaged my house. I don’t have a place to take shelter now. Our fields have been damaged too,” added another villager, Tashi Phuntsho. The Dungkhag and gewog officials have immediately visited the affected houses. Other than houses, the windstorm damaged a primary school at Tashilakha. Maize fields and orange trees were also knocked down. During the incident, a 24-year-old pregnant woman was struck by the lightening . She is recovering at Phuentshogling hospital. 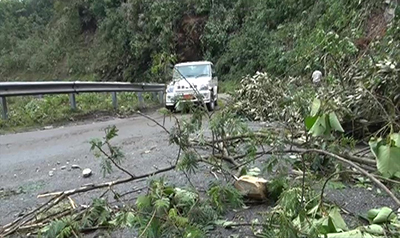 Fallen trees have also blocked the highway between Geaddu and Kamji.